Develop an original research study proposal. 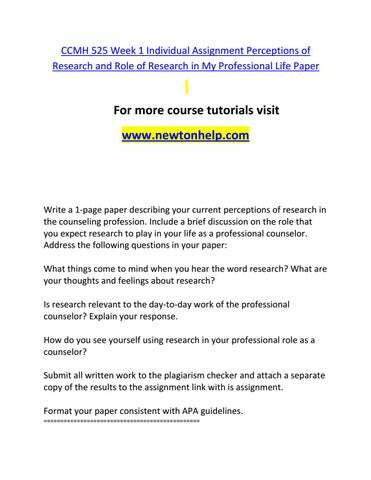 Write a 10- to 12-page paper that describes your research study proposal. Include at least 10 scholarly references in your paper. Refer to the following outline as a guide when writing your paper. Include detailed information on all the following topics: Statement of the problem: Introduce the reader to the problem to be studied. Provide sufficient background information so that the reader has a grasp of the situation. Review of literature: Provide the reader with a review of salient literature, beginning with general information and narrowing the focus to the specific issues under consideration in the study. Develop a program evaluation study based on the following information about Stoneybrook Middle School: Design an outcome study focusing on the effectiveness of Stoneybrook Middle Schoolâ&#x20AC;&#x2122;s peer tutoring program. In your program evaluation design, you must include the following information: Statement of the problem: Introduce the reader to the problem to be studied. Provide sufficient background information so that the reader has a grasp of the situation. Review of literature: Provide the reader with a review of salient literature, beginning with general information, and narrowing the focus to the specific issues under consideration in the study. Use subheadings to organize your information. This section should be 2 to 3 pages in length. Provide brief reviews of four or five similar studies. Purpose of the study: Clearly state the purpose of the study. Identify why the study is needed. Hypotheses Research Questions: List them as simple statements. Make sure they are measurable. Definition of Terms: Operationally define terms the average reader may not know or that have a specific meaning in your study. Research Methods and Procedures Population: Describe the population sample under study. Procedure: Discuss how the study will be carried out.